I am in love with just about everything Donna does, and her backyard is no exception. I love our new backyard, but after a weeks worth of rainstorms it needs a little TLC. 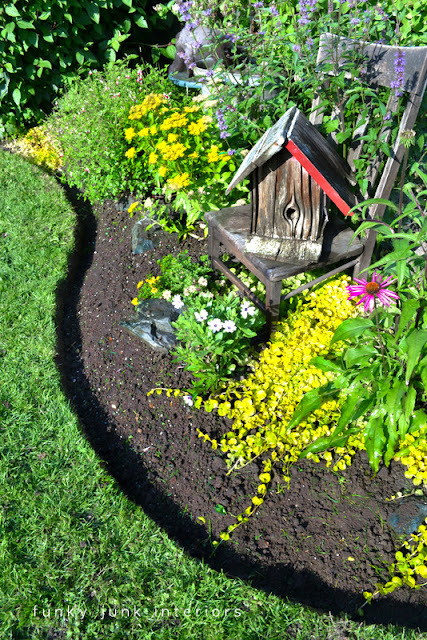 This great tutorial on how to edge a flower bed will come in handy once the rain stops. You can learn how to edge a flower bed like a pro over at Funky Junk Interiors.